We’re really excited to be launching this new project today – it’s the culmination of many months of hard work and planning for the team here at the Natural History Museum in London and for our colleagues at the Zooniverse. 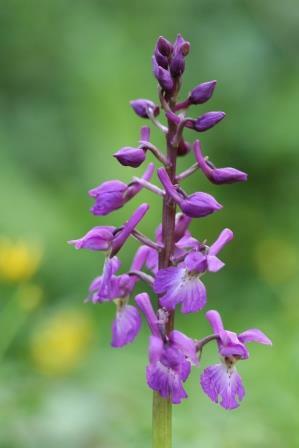 Orchid Observers brings together photography, biological recording and the online analysis of museum specimens to better understand the effects that climate change is having on orchids in the UK. More on the research question and how this fits into wider Museum climate change research will come in later blog posts. For now, grab your camera and head outdoors to look for the early-purple orchid. It’s the first orchid species to flower and should be coming into flower right now. The great thing about orchids (aside from their stunning colours and beautifully ornate flowers!) is that new species will be coming into flower every few weeks between now and September. We’ll be writing more about our study species and highlighting which orchids are about to flower in future blog posts so keep checking back over the coming weeks. Thanks for reading and we hope you like the project!